Big Bear Lake, CA – On Saturday, April 13, at approximately 2:43 pm, Big Bear Sheriff’s deputies received several reports of two females who made multiple purchases using counterfeit $100 bills at several businesses in the Big Bear area. The two females were driving a black GMC Denali with CA plates. 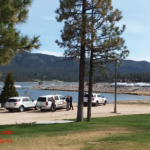 A victim reported seeing the vehicle in the Big Bear Lake Walgreen’s parking lot. Deputies located the vehicle occupied by two females. 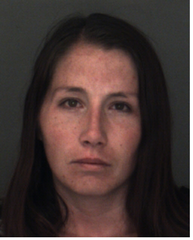 The females were identified as 30 year old Amanda Gray and 32 year old Amanda Piercy, both of Riverside County. Gray and Piercy matched the suspects seen on video surveillance passing counterfeit $100 dollar bills. 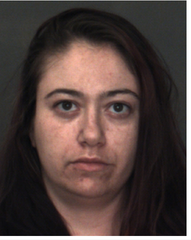 Both women are suspected of entering multiple businesses in the Big Bear area between April 11th and April 13th, making small item purchases, and paying with counterfeit $100 dollar bills. 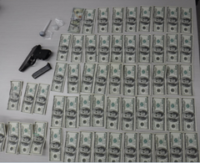 During a search of the vehicle, deputies located thousands of dollars in counterfeit $100 dollar bills, several receipts which indicated Piercy and Gray had made several purchases using counterfeit $100 dollar bills. 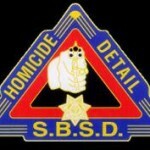 A handgun was also located behind the driver’s seat. 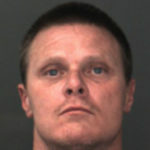 A used methamphetamine pipe as well as suspected methamphetamine was located inside a purse belonging to Amanda Piercy. Deputies determined that Piercy was also convicted felon.